May be not! After sleepless nights and painstaking efforts, the day finally arrived – You've created your mobile app and excited about launching it on the app store. We don’t mean to sound bleak. But there are over two million apps on Apple Store and Google Play Store. Have you figured out how you are going to cut above the rest and be found on the app store search results? Here are the 11 ASO ranking tricks to get your app noticed and eventually downloaded. If experts are to be believed, description doesn’t affect ranking algorithm. But it surely pushes the user to download the app. If users are already reading your description, your app title had done its job well. 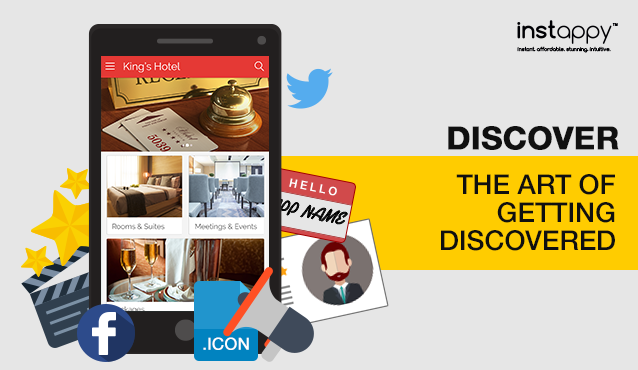 Now it’s time your description does its job well and gets them to download your app. Description gives you the space to tell the users more about your app. Make good use of it. Keep your tone conversational, creating an instant connect with the target audience. Bring out the value propositions of the app – What’s in it there for them. Remember, you are leashed by a character limit, try to make every word count. Pick them with as much care as you’d pick flowers for your first date. Start by brainstorming a list of the keywords (and phrases) that are relevant to your app. There are tools out there that will help you get more ideas for keywords around your app. Start humble. Pick those keywords that have high traffic but low competition. As you gain more experience and your app takes off, you can change your gear and stake on keywords with high competition. Just remember the rule of thumb for picking keywords – Competing for high competition keywords that stand no chance of getting ranked makes no sense. Neither does ranking high for a low competition keyword that nobody is searching for. When it comes to getting your app ranked high, there’s more to app icons and screenshots than you might think. These are to an app what a cover is to a book. Just like the latter, your target audience might be judging your app by its icons and screenshots. Just remember the 5 second rule – You have as less as 5 seconds to make them like you, so you better get creative with your icons and screenshots. Localizing your language for the app market you’re targeting at, is a proven trick to get you ranked high. It’s a time-consuming affair but considering the result it yields, it’s definitely worth it. On Instappy, you can create apps in over 20 languages and test them free! Most businesses ignore the fact that users make search queries with long tail search keywords. These keywords can be indexed in more than one ways, helping your app in getting indexed high. People don’t think in words, they think in phrases. Get in their head. Make the best guesses – Think of all the terms and phrases, the users might be putting in search bar to find an app like yours. And here’s how to dig long-tail keywords – When you go to the app store and start typing the relevant keywords, the search bar gets populated with the predictive long-tail keywords. Sometimes innovative things are so obvious that you almost overlook them. It’s only human. The best ranking trick (and the most obvious) is to go to the source. Make the search on the app store with the keywords you are competing for and see what apps are making it to the top of search results. The apps that have made it to the top must have done something right to be there. See how they have leveraged the keywords in the title and description to rank high on app stores. 90% of information transmitted to the brain is visual – Chances are, no matter how good your app description is, people might still ignore it. That’s where app promotional video comes into picture. Creating a teaser video for your app and publishing it on video channels get them curious. The video can be a simple walkthrough of your app but you have to keep it user-centric, entertaining and informative. There’s a reason why we have put submissions after promotional video. The fact is, reviewers are busy people, at least the good ones are. Your app stand a better chance of getting reviewed if you already have a teaser video. By submitting your app to review sites, you get to use reviewers’ credibility to your advantage and climb higher on the app store searches. You have created an awesome app and you wish it to make waves on the app store. Online PR gives your app just the push you need. Be proactive and make a smart online PR roadmap before the app is actually launched. PR campaigns leverage online channels to build awareness and bridge the gap between your app and prospective users. Creating articles around your app to get high ranking might sound like old school but it still works! It is the best and most cost-effective way to gain online presence, build a community around your app and get the organic reach. The advantage that articles have over other forms of marketing is that they allow you to show the value-add of your app in an extensive manner. Like aliens, the true algorithms for ranking in app stores are a mystery at large. But one thing that is sure about algorithms is that they keep changing. The only way to keep up is to get your keywords updated periodically. Keep a close track of your app’s ranking. If you are not happy about it, get to the root of the problem and keep fine tuning things till your app’s ranking is improved. Good things take time! Getting ranked for relevant keywords is one such thing. But if you stay persistent, you’ll get there. Adopting best ASO and keyword practices, we’ve gained a deeper understanding of how apps are ranked on app stores. Apps created with Instappy are search-friendly and indexed by leading search engines for increased discoverability.